Weather Breezy until this afternoon and mostly cloudy throughout the day. 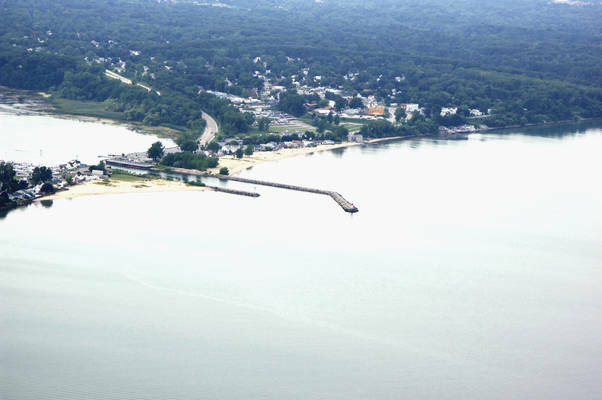 Irondequoit Bay and the town of Webster are located off Lake Ontario near Rochester about 30 miles west of Sodus Bay and 100 miles southeast of Toronto. 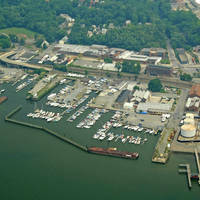 Irondequoit Bay is mainly a fishing harbor, and ic certainly does not stop the season once winter sets in. With a thick coat of ice on the bay, fishermen set out to trick brown trout, walleye and lake perch onto their hooks. 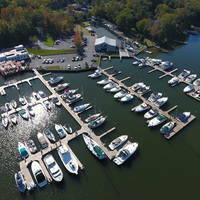 During the summer season, Irondequoit Bay plays host to many visiting boats at its three marinas. The Irodequoit Bay Inlet is located four miles east of the Genesee River Inlet and the city of Rochester. 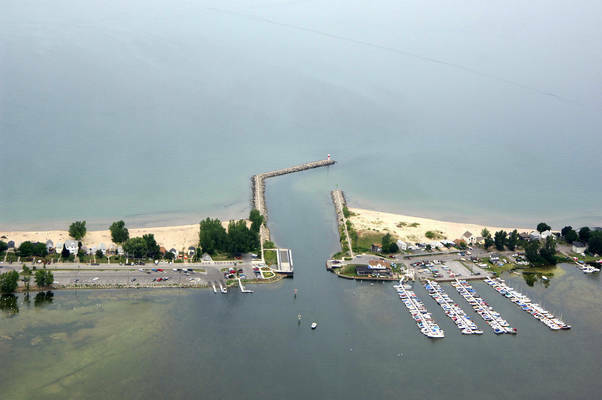 From Lake Ontario, you will want to set an approach course for flashing red 2 and flashing green 3 on the west and east breakwaters, respectively. From the inlet breakwaters, follow the channel south to flashing red 4, which is then followed by flashing red A, quick flashing red 6, quick flashing green 5, flashing green 7 and then flashing red 8. It is very important to honor all of the marks in this portion of the slender six-foot-deep channel, as the depths shoal quickly outside of it. Once you have cleared the last mark, the bay deepens rapidly to 40- to 60-foot depths. A 44-foot fixed vertical clearance bridge crosses the bay about 1.5 miles south of the inlet at Lake Ontario. 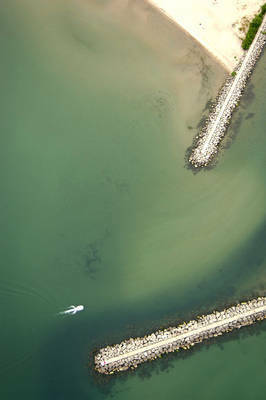 Marinas are located in the top, middle and lower parts of the bay. To port after you clear the inlet you will find a small marina with transient slips, outboard repairs, marine supplies and gas. Farther south in the bay past the fixed bridge is another marina with limited transient facilities, but with excellent repair services and haul-out. All the way in the south end of the bay is a very small marina, but the approach channel has dubious depths (charted at a mere one foot). No reviews yet! 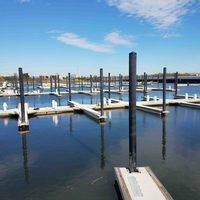 Be the first to write a review of Irondequoit Bay Inlet.